100% poly interlock. Tear away label. Dry wicking. Antimicrobial. Racerback. Longer body length. Curved bottom hem. 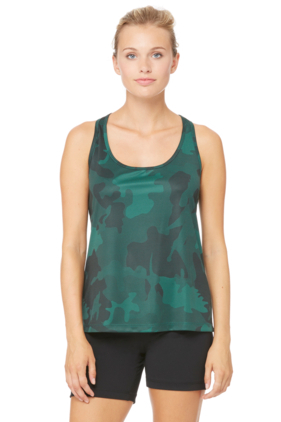 This women's performance tank is your go-to work out tank, featuring a lower neckline for a more feminine finish.